At the start of my time in China when I managed to do very simple things like buying a train ticket or ask for a carrier bag at the supermarket (the first is a lot trickier than the second), I felt very proud of myself. In Europe, there is no sense of satisfaction when you go to the machine, buy a train ticket, find your platform then get on your train. That’s easy. In China, however when you are successfully sitting on your train 1 and a half hours after you arrived at the station you are exhausted and relieved and you haven’t even left the station. So when I wanted to do something as simple as go to a public swimming pool and buy a ticket I should have expected it to be a complex process. I wanted to go swimming. I had wanted to go swimming for three months. I was told to wait for the summer and not to go to a public Chinese pool or to just join a gym. I did not want to join a gym and waiting for ‘summer’ (I was more tanned at the end of April here than I was at the end of August last year in England) was still another month away. Therefore, I decided to risk visiting a public Chinese pool. After all how bad could it be? I got off the metro at a stop called Shanghai Swimming Centre. This sounded promising. I exited and there were no signs so I performed detective work by following a young girl who had a see-through rucksack which appeared to have swimming gear inside. She led me to the entrance. I could see four queues. I assumed they were the same. I assumed wrong. The first one I tried was wrong for some reason and I was sent to another lady. This other lady sold me a ticket and it cost me 40 RMB. I then tried to enter through the barriers. The woman at the barriers waved her arms and shouted and I was directed to another woman. This woman was dressed in a blue nurse’s outfit. Did I have to have a medical?! The blue nurse lady passed me a piece of paper. Naturally it was all in Chinese and whilst I am trying to learn this language I cannot yet read 99.99999% of the characters…. There were two boxes and I was given a pencil. I took a wild guess and put my name in one and the date in the other. That seemed to satisfy the nurse. Whether I guessed correctly I will never know as she probably couldn’t read what I had written and there was probably an arbitrary bureaucracy rule that something, regardless of what, had to be written on that piece of paper. I try my luck again at entering the pool showing the lady at the barrier my ticket and this piece of paper. However, I was still not allowed to enter and directed to someone else. Surely this is now the final test I must pass!? I am given a key scanner bracelet and she shouted ‘90 minutes’ at me in English. This is the key I needed to enter. I can now go through the barriers. For 90 minutes at least. Inside I go to the women’s. Again, none of this would be noteworthy in Britain. This blog post would be very short. I brought a ticket and got changed and swam. Very boring but here the adventure is not over yet! In the very cramped changing rooms there are no cubicles. Hardly surprising as they are not too worried about privacy or personal space here. I am the only foreigner so I am stared at. 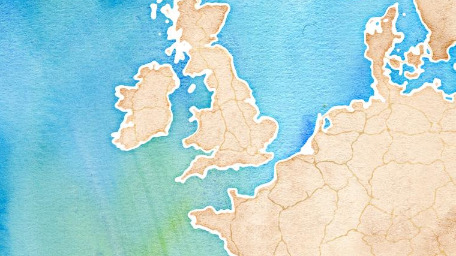 Not the standard stare in Europe where you glance then when eyes meet you look away. Oh no in China, they take a good look, make it really obvious they are looking at you. Sometimes they even get a camera out and take a picture. Whilst I am slowly getting used to this, on some days I think to myself ‘please go away, I look terrible so I want no photographic evidence of me today’. Today was one of these days as in the confines of a changing room, the stares are slightly more uncomfortable. I shuffle into my swimming costume as quickly as I can then leave to find the pool. As I leave there is a huge sign, which is in both English and Chinese clearly stating that you cannot use the pool unless you have a swimming cap. I did not have a swimming cap. I guessed I would have about 10 mins until I was noticed and told to leave. The pool was divided into two parts and each part into lanes. In the first part the lanes were more of a nuisance as no one was adhering to them and I got hit and kicked multiple times. Also a small boy swam incredibly close to me so he could glare at me for a good few minutes which encouraged me to try the other part of the pool. This was a risk as I felt it may be easier to spot a rule breaker in the lanes where people were actually swimming lengths. It was a risk I had to take if I wanted to try and swim just one length. First few lengths went well. I was much quicker than the others in my lane but after not swimming since for a few months I didn’t really mind. Then I was spotted. This pool didn’t just have two life guards. Oh no it had eight. They felt more like invigilators at an exam trying to catch anyone not adhering to the rules rather than worrying about our safety. One of the eight guards shouted at me at first. I tried to ignore but then he pulled a little black device out of his pocket. He then clicked this device and a green light shone from within. A very thin green light, like a laser, and he pointed it in my face. I didn’t really feel I could ignore that… I swam over and he gestured at my head. In my limited Chinese I say “meiyo” (don’t have) and after a long pause, as I had managed to forget the words I wanted, I stuttered “dui bu qi” (the polite form of sorry). This seems to be enough and instead of forcing me out of the pool he just nods. In almost the same minute as I am putting my goggles back on, a Chinese man without a swimming cap tries to enter the pool. He is shouted at and told to go and get one. It is bad how white foreigners can get away with stuff here…. The rest of my swim is relatively uneventful. There is the constant worry that one of the other guards may flash a green light in my face. I was told off again but this time it was for attempting to do a length of backstroke. Apparently, in the Shanghai Swimming Centre you are not allowed to do backstroke. Only front crawl and breast stroke. To be fair they didn’t have those handy flag things near the end of the pool so maybe that is why? Nothing else really happened, except as I was coming up for air a rather large gentleman shouts loudly with a huge smile on his face at me “good” and “okay” and puts his thumbs up at me. I murmur “okay” and smile back a bit confused. As I leave the pool after an hour of swimming the same gentleman shouts “game over!”. That was a bit more sinister! Out of the pool and into the changing rooms. Lots of naked woman and none of them were wrapped in towels. It was 30 degrees but don’t you need a towel to dry yourself? Again lots of stares so I try to maintain some privacy but probably attracted more attention by shuffling around in a towel. I left the changing room and clock out. The barrier allows me to pass as I was under my 90 mins. 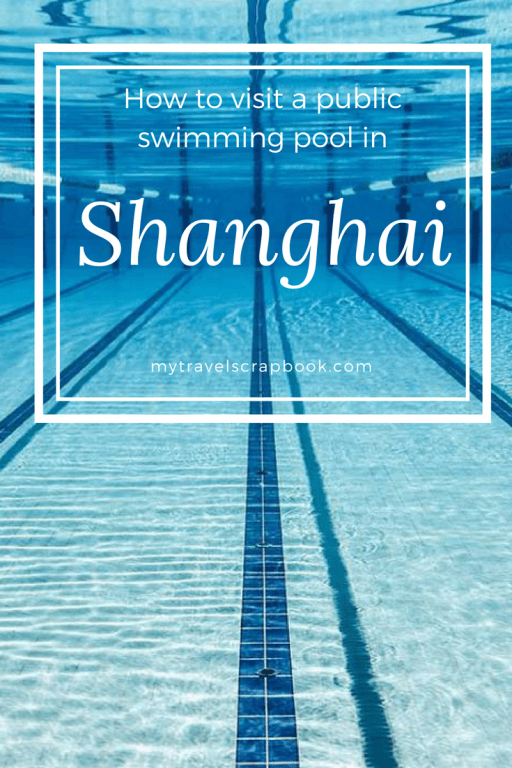 Swimming tip: I am not sure what it is like to visit other pools in Shanghai yet. Some require you to bring a swimming cap others don’t therefore I would probably bring one to be on the safe side.